Since their introduction in the late 18th century, vaccines have fundamentally changed the way modern medicine is practiced and have eliminated the incidence of some of the most devastating human diseases. Pasteur discovered how to make vaccines from weakened, or attenuated, microbes. He developed the earliest vaccines against fowl cholera, anthrax, and rabies. Vaccination has substantially reduced morbidity and mortality from infectious diseases in much of the developed world. That comment from 19th century disease fighter Louis Pasteur is not what you’d expect to see at the start of an article about vaccine development, but it definitely shows that in order to not let microbes have the last word, we have to fight them and the key to it is vaccination. Since their introduction in the late 18th century, vaccines have fundamentally changed the way modern medicine is practiced and have eliminated the incidence of some of the most devastating human diseases Humankind has used vaccines effectively for more than two centuries, but the path to discovering vaccines has been long and difficult. The work required a number of brave research pioneers and clinicians. In this article we will go through the history of vaccines and the work of the 19th century French biologist, microbiologist and chemist Louis Pasteur, who was the first scientist to create a vaccine in a laboratory setting. Louis Pasteur is traditionally considered as the progenitor of modern immunology because of his studies in the late 19th century that popularized the germ theory of disease, introducing so the hope that all infectious diseases could be prevented by vaccination. 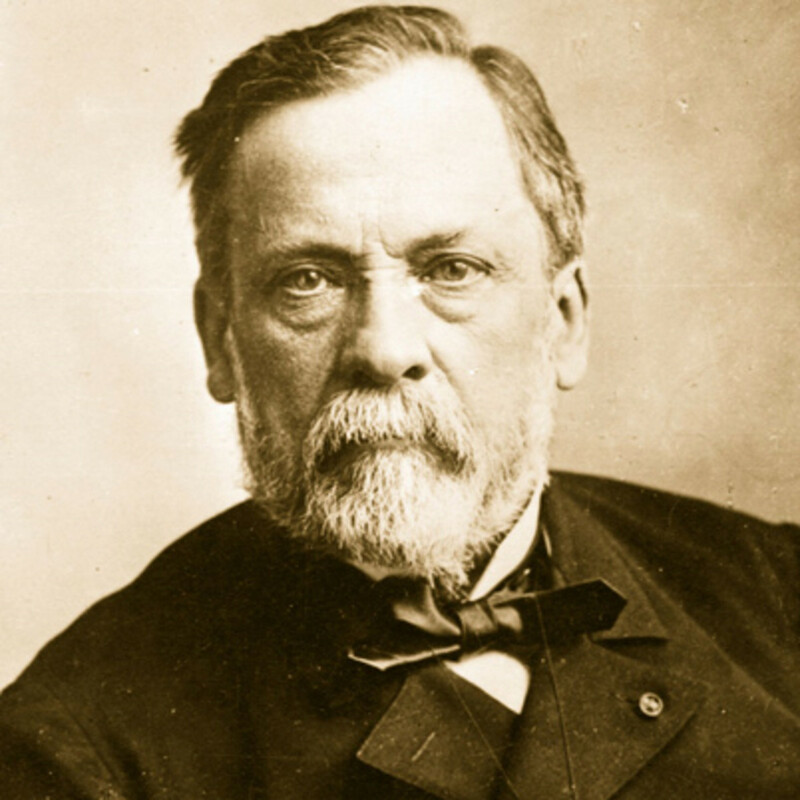 Pasteur’s studies on microorganisms inspired him to pursue the study of infectious diseases. In the beginning, he performed experiments on living animals. He studied fowl cholera; a highly contagious disease that was destroying the chicken population. Influenced by Edward Jenner, who was the first pioneer of smallpox vaccine, Pasteur thought that if a vaccine could be found for smallpox, vaccines could be found for all diseases. In 1879, Pasteur occasionally observed, that old bacterial cultures lost their virulence. He told his assistant, Charles Chamberland to inject the chickens with a fresh culture of the bacteria before a holiday, but the assistant forgot and went on vacation. When he returned a month later, he performed the procedure using the old cultures. Unexpectedly, the chickens only showed mild signs of the disease and survived. When they were healthy again, Pasteur, captivated by the results, injected them with fresh bacteria. The chickens did not become ill. The discovery of the fowl vaccine by Louis Pasteur revolutionized the work in infectious diseases and can be considered the birth of immunology. Using a weakened form of the disease to provide immunity was not new, but Pasteur was the first to take the process to the laboratory, impacting all virologists who followed after him. The microbe, weakened in the lab, had taught the chicken immune system to fight the infection without causing any serious harm to the chicken. This type of vaccine is called a live, attenuated vaccine. Realizing he had discovered a technique that could be extended to other diseases, Pasteur started studying anthrax. Pasteur produced vaccines from weakened anthrax bacilli that could indeed protect sheep and other animals. Then, in 1885, while studying rabies, a viral disease, spread to people from the saliva of infected animals, usually transmitted through a bite (causes symptoms such as fever, headache, nausea, vomiting, agitation, difficulty swallowing, hallucinations, partial paralysis etc.) Pasteur tested his first human vaccine. He treated his first human patient, a nine-year-old boy who had been severely attacked by dogs using a daily series of increasingly virulent doses of the vaccine of rabies. The boy did not develop symptoms and Pasteur became an international hero. Pasteur’s work advanced the field of virology and stimulated vaccine research all over the globe. In subsequent decades, live, attenuated vaccines were developed and introduced against a number of the world’s most deadly diseases including diphtheria (1888), plague (1897), tuberculosis (1927), yellow fever (1936), measles (1963), mumps (1967), rubella (1969), varicella (1995), and rotavirus (1998). Pasteur’s breakthroughs have saved countless lives and improved the quality of life for people worldwide. Indeed, vaccination has substantially reduced morbidity and mortality from infectious diseases in much of the developed world.